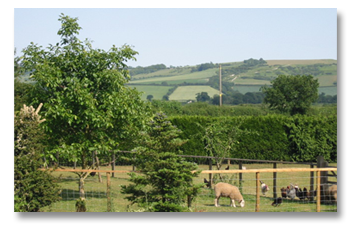 Lesley and Jonathon Seed offer high quality Bed and Breakfast together with well appointed self catering accommodation at their smallholding in rural Wiltshire. We also own the beautiful Chittoe Heath Plantation woodland which is available for guests private enjoyment as part of our property. We are happy to offer long term business or family booking arrangements. Here you can relax and admire the rare breed and free range poultry or even, in the spring, help to bottle feed orphan lambs. As a small family business we are able to be very flexible and respond to your needs in order to make your stay as comfortable as possible. In the house, all the bedrooms are private with en suite or private facilities; there is a resident’s lounge and dining room in which you can relax in your own company. 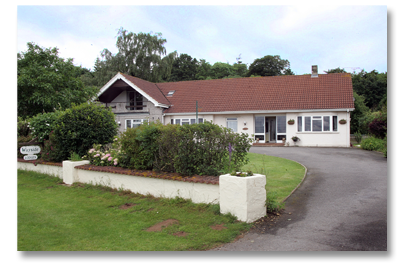 The house is centrally heated and all rooms have colour television, a microwave oven, fridge/freezer and coffee making equipment. The quickest and cheapest way to book is direct contact by email or text – we always try to respond within the hour! The self catering timber lodges offer a high standard of furnishing together with privacy and the tranquillity and views expected of rural North Wiltshire. Wayside is happy to accept dogs by arrangement and can offer stabling and grazing. We are very close to Bowood House and other golf facilities. Fishing is also available locally. Wayside is open all year round and over the Christmas and New Year period Lodges and Guest Rooms are festively decorated.